If you’re feeling like your hair has lost its mojo, don’t fret. Sometimes a busy schedule juggling work, family and friends can leave you with little time for hair care. Before you know it, your motto to have your hair cut every six weeks has fallen by the way side. And your trademark highlights most certainly need a top-up. If this scenario sounds familiar, you aren’t alone. Despite our best intentions, we’re all prone to the odd bad hair day. Luckily, you’ve come to the right place. We’ve compiled the ultimate hair care guide to help you get salon hair around the clock. From the best products on the market, to the secrets your hairdresser hasn’t told you yet, we reveal all. Healthy, happy hair is always full of bounce and shine. 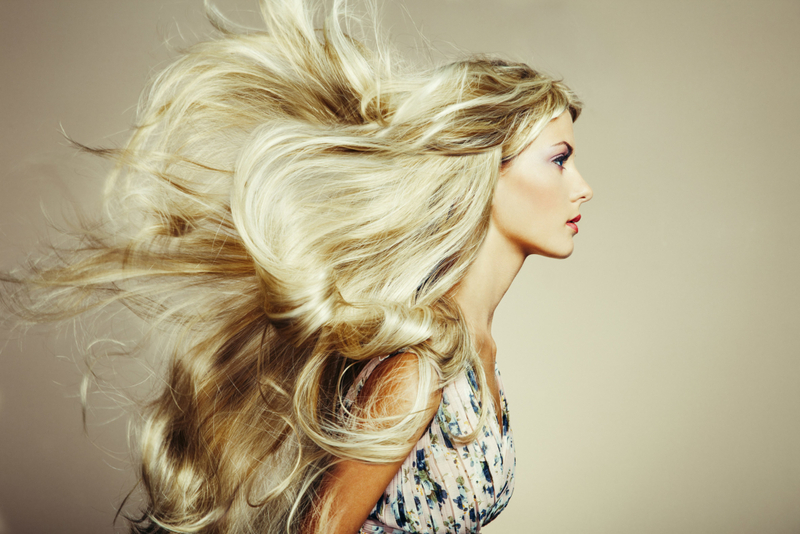 According to the latest research, the number of women with long hair has increased by 20% in the last few years. So surely it makes sense to help your long hair shine? If you want to inject some hair care vitality into your tresses adding some moisture with help to vamp up the gloss. Hydrating masks are a great investment because they can help to ease dryness and curb split ends. A good trick is to apply your mask onto dry hair 30 minutes before you shower. Because the hair isn’t saturated with water it will penetrate further into the hair shaft. For a hair care mask which seems to work wonders, we love Joico K_Pak Deep Penetrating Reconstructor, £16.75. Suitable for all hair types, this will deliver glossy, strong hair after just one application. If you want to add shine and illuminate your colour, we’ve also found that Kevin Murphy Crystal.Angel, £23 will stop dull hair in its tracks. Designed to refresh shine, enhance coloured hair and add serious gloss, this will make your hair gleam with health. Insider advice: Got blonde hair? Boost gloss by rinsing your hair with a blast of cold water after shampooing and conditioning. Because lighter hair is porous and more prone to product build-up, it will look shinier when it’s squeaky clean. Brunettes and red heads will also find their hair looks shinier the day after it’s been washed. Frizzy hair needs lots of hydrating and moisture, so a rich conditioner needs to become your new best-friend. Because you want to nurture your hair’s natural oils, you shouldn’t wash it more than a few times a week. But when you do, look for specific hair care products. Remember ‘buzz’ words like ‘sulphate-free’ and ‘glycerin’ which help to add moisture from the inside out. A cleansing duo which we recommend to boost hydration is Redken Frizz Dismiss Shampoo, £16.50, and Conditioner, £17.80. Containing Brazilian oil, and an anti-humidity formula to calm wayward locks, this will perform miracles on any frizzy ‘do. In the battle against frizz, we’re also excited to tell you about Colour Wow Dream Coat Supernatural Spray, £24. A genius, three-day hair care treatment, this light-weight, ground breaking technology is designed to stop your hair becoming a frazzled mess. Using an invisible shield, the spray covers your hair in a ‘raincoat’ which prevents water and moisture from making hair frizz. Simply apply to wet hair in sections and activate with hot air from your hairdryer. The result? Sleek, smooth hair without any frizz in sight. Hurrah! Insider advice: If you’re wondering how else to ease the frizz, try growing your hair longer. Some hairdressers think the extra weight will help to keep your curls bouncier and less frizzy. Wearing your hair up? Try spraying a clean disposable mascara wand with hairspray to tame any frizzy strands pronto. You’ve got no chance of being able to recreate your hairdresser’s blow-drying tricks without the right kit. It may seem like a cliché but since we invested in the Dyson Supersonic Hairdryer, £299, we haven’t looked back. With different functions to benefit every hair-type, this hair care styling tool will help ease bad hair days for good. And the shine it creates is super impressive! With three different attachments to smooth, style or diffuse, this makes easy (and quiet) work of your morning blow-dry. Finish off with a cold shot of air to set your look and you’ll have happy hair all day long. If you haven’t had a conversation about nylon or plastic brushes with your hairdresser, it’s time to take note. Your bad hair day could well be attributed to the type of brush you’re styling your hair with every day. If you have fine hair that gets knotty, or long hair that is prone to being tangled, listen up. Our hair care trick is to use a natural bristle brush which distributes oils through the hair. This means there is less of a build-up of oil around your roots and more of a natural, glossy sheen. Because the bristles are extra gentle, they will produce less friction, frizz and breakage too. The motion of using a natural bristle brush will also stimulate the scalp meaning you can enjoy healthier, thicker hair. They may be pricey, but check out the Mason & Pearson range of natural bristle brushes (priced from £50-£140). It will be an investment that will last you a whole life-time! Insider advice: Want to make the most of your natural bristle brush? 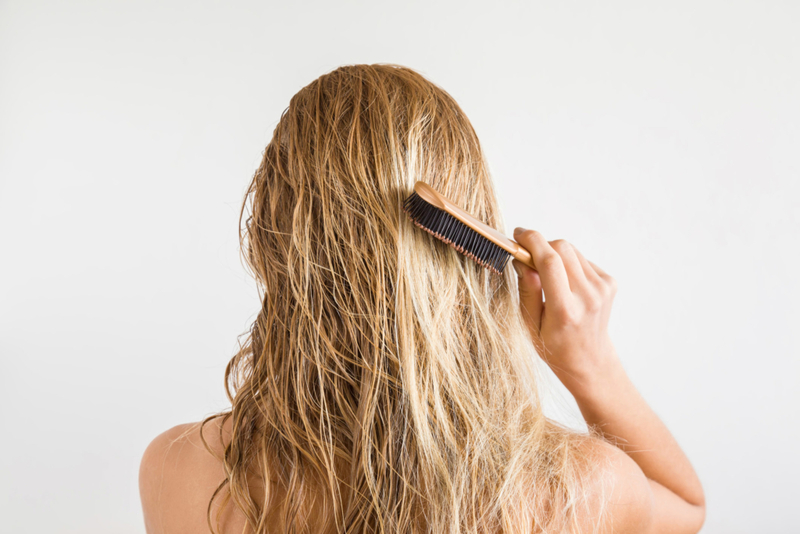 Just before you have a shower, make sure you give your hair a thorough brush. It will help to lift the dirt away from the scalp so you can get a really deep clean when you shampoo. Want to invest in the right beauty products but just don’t have the time or patience? Never fear, just grab a coffee, relax and read our blog post on The 7 beauty essentials you need right now.